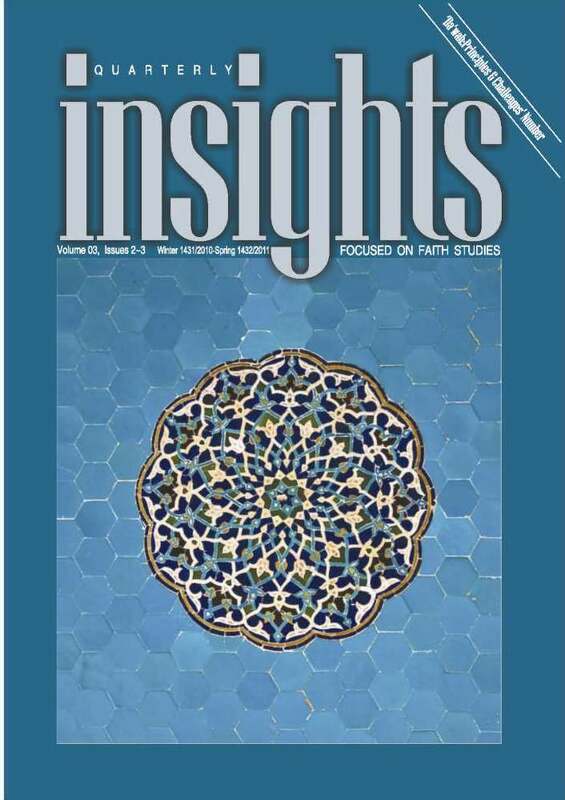 Insights is a new interdisciplinary quarterly journal focused on faith studies that seeks to publish refereed articles dealing with various facets of life informed by the Islamic Faith covering various branches of knowledge such as the Qur’an and its Disciplines, Tafsir and its Disciplines, the Sunnah, Sirah, Hadith and its Disciplines, ‘Ilm al-Kalam, Tasawwuf, Usul al-Fiqh, Fiqh, Comparative Study of Faiths and Religions, Philosophy, Anthropology, Ethics, Economics, Social Sciences, History, Culture, Civilization, Language, Literature, Science, Technology, and others. Insights, besides peer reviewed articles section, seeks to feature serials on the Qur’an, the Sunnah, Sirah, Fiqh, Personal Values; Family Values, Interfaith, History, Gender, Youth, Profile, Archives, Documents, Muslims Around the World, Back to the Origin and others. Insights, further seeks to publish Book Reviews on the books which fall in the areas of its interest. 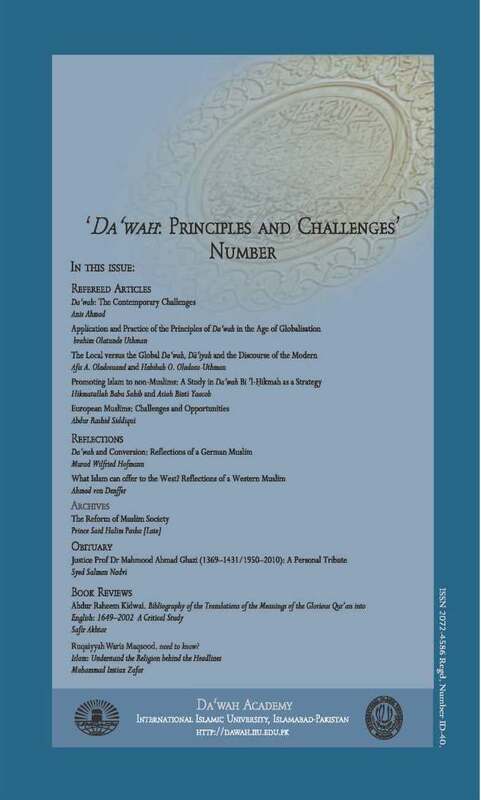 Publishers may send review copies of the relevant titles in duplicate to the editor. Insights also seeks to be indexed and abstracted in the relevant Indexing and Abstracting Services. Some of these services have already included Insights in their list of the journals they index/abstract.